Like any hobby, cycling on the road can be more dangerous than it looks at first glance. Even the simplest roads and bike routes will have a few sharp turns or bumpy sections that could catch you off guard if you aren’t prepared. A good helmet shouldn’t just be for show – choosing something that’ll keep your head safe and comfortable is an important part of getting into cycling long-term. Thankfully, it’s a lot easier to decide when you can see a comparison of the key features, benefits, and drawbacks to each. Below is our road bike helmet buyers guide of ten popular cycling helmets used by professionals, hobbyists and casual cyclists alike, along with the reasons we personally like it and why we’d recommend you pick it up for yourself. Psst! Don’t forget a great pair of padded cycling shorts to make sure you’re fully kitted out for your next adventure. The Savant is a slim helmet that’s built for ventilation, using twenty-five wind tunnel vents to keep the airflow going in any weather conditions. Professionals like it for its low-profile and streamlined design, making it really aerodynamic in any conditions, whereas newcomers will appreciate the Roc Loc 5 fit system’s ability to keep their helmet on at all times, even on bumpy terrain. If you’re new to cycling, the Savant can also be a good ‘first helmet’ to get you started, since the design’s low weight makes it easy to carry or wear for long periods of time while you learn the ropes. Compared to a lot of other helmets on this list, it’s one of the sturdier options in terms of how much it can protect your head and upper face, despite its slim shape and open ventilation holes across the surface. The Zoom and Zoom Aero helmets use a very safety-conscious design that’s meant to protect your face as well as your head. They come with a UV protection shield that can be easily attached to the front edge, which can shade your eyes from bright sunlight and stop the wind from getting into your face while you’re moving at high speeds. 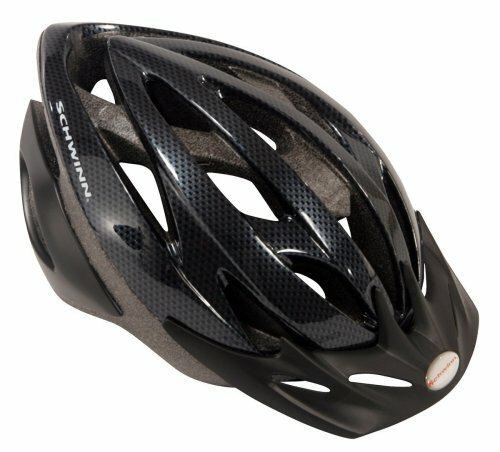 The regular Zoom uses integral molding technology to absorb extra force during a crash or bump, which is layered beneath some removable padding: this gives you an extra optional layer of protection and more flexibility with how it rests on your head, which might appeal to those with a very specific preference for how they wear helmets. The Zoom Aero comes with an extra micro shell layer that covers up the ventilation holes to create a more aerodynamic shape, which can be easily removed to reveal the helmet’s normal surface. Why We Liked It – The Zoom and Zoom Aero are excellent when it comes to safety, and could easily be some of the safest open-face cycling helmets on the market these days. The Thrasher’s three-part microshell design makes it incredibly durable compared to a lot of the other helmets on this list, regardless of whether it’s an adult, youth or child size, making it ideal for families that are looking to get into the hobby. 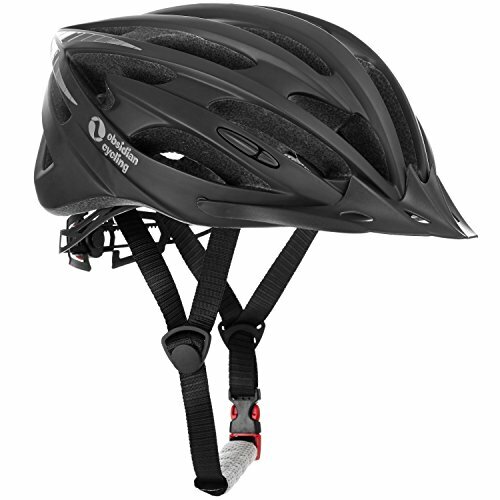 The adjustable head straps and dial-based fit system make it easy to tighten or loosen the helmet on the go. The helmet uses moisture-wicking pads and twenty air vents to keep you cool in warm weather, even while you’re on the move, without leaving behind any weak points in its design. The attachable visor can block out heavy sunlight if you’re cycling towards the sun, making your route more comfortable during the day. Why We Liked It – The Thrasher can be adjusted to fit almost any head size and shape but hasn’t lost any of the protective power you’d expect from a road bike helmet. Gonex produces helmets with built-in adjustable caution lights, something that’s incredibly useful for early-morning or late-night cyclists. They’re also very lightweight and ventilated compared to other heavy-duty helmets, which could help prevent neck pain and overheating on long routes. 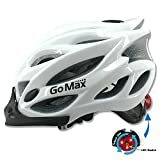 This standard bike helmet can be adjusted to fit almost any head size thanks to the rotary internal regulation on the back of its outer shell, meaning that you don’t have to take it off to tighten or loosen it. If you’re paranoid about it falling off while you’re cycling down a tricky path, you can quickly turn the regulator and make sure that’s it sits as snug as possible on your forehead. 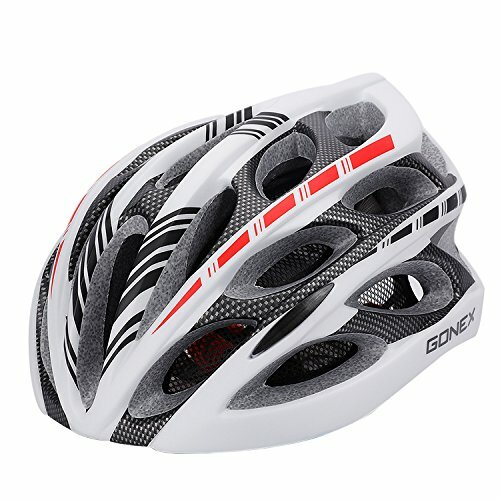 Why We Liked It – Overall, this Gonex helmet is great for cyclists of any skill level who want more control over the equipment they wear, as well as newcomers who aren’t confident in their ability to cycle at darker hours. TeamObsidian’s Airflow is a lightweight and shock-resistant helmet that focuses mainly on head protection above all else. It’s reinforced to ensure it won’t break or split if you crash into something head-first, protecting both your head and your investment, and uses an expanded polystyrene shell to absorb impact shocks without transferring them to your head. The chin strap is designed to release quickly without catching on your skin or clothes, and the attachable visor can keep your face protected from harsh weather if you’re caught outside with no shelter. Unlike a lot of reinforced helmets, the Airflow also allows extra adjustments for ponytails and other high hairstyles, meaning that it won’t squish the back of your hair down or push on your head during long cycling journeys. Why We Liked It – The Airflow is great for people who like to use their bikes in day-to-day life since it can be adjusted to easily fit over hats or other casual clothing while still protecting them. 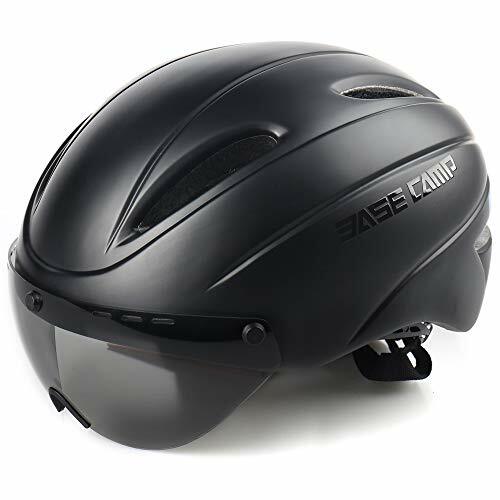 This Basecamp helmet uses dense layers of heavy-duty materials to absorb a lot of force from crashes, completely protecting you from minor bumps and making big impacts far less dangerous. In bad weather, you can turn on the rear LED light to alert cars and other cyclists without needing to wear bulky high-visibility clothing, or slot on the detachable visor to keep your vision clear. 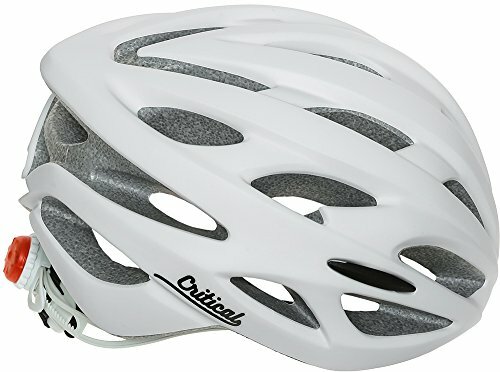 The specialized bike helmet has an adjusting knob at the very back of its frame that you can use to loosen or tighten the rim on the go, rather than having to take it off and fiddle with straps or cords. When it comes to style, Basecamp’s helmet is surprisingly slick, unlike a lot of other bulky designs that offer a similar amount of protection and ventilation to your head. The inner lining can be removed for easy cleaning and repositioned to better suit your head shape. 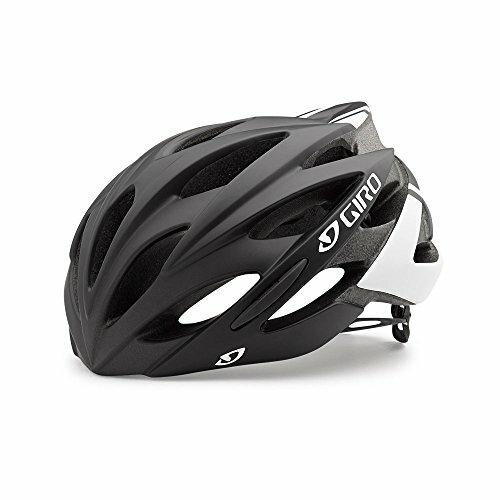 Why We Liked It – This helmet is easy for newcomers to use, but still has plenty of features that long-term cyclists will find useful on difficult routes or in bad weather. 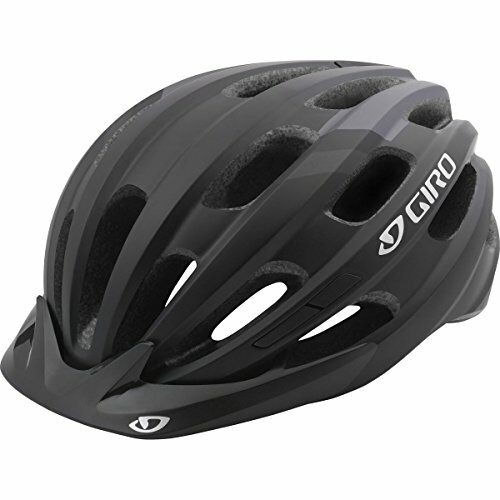 Giro’s Revel is a simple hassle-free helmet that doesn’t try to do anything fancy. It’s Roc Loc system, and In-Mold design makes it both comfortable and easy to wear, and it isn’t tied down by any permanently-attached bike accessories or awkward design choices: if you want something sturdy to protect your head, you can put on the Revel and set off on your next bike ride in a matter of seconds. The versatile design of the Revel is its biggest strength: it can perform just as well on rocky mountain trails as it can on the road to work, no extra adjustments or accessories needed. 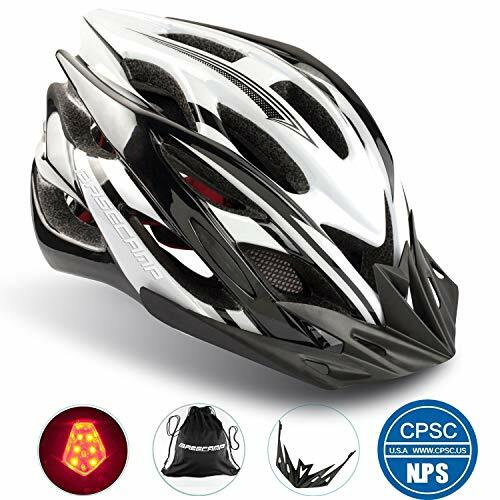 The reflective real decal can alert cars and other cyclists to your position late at night, but won’t come loose if the helmet is washed or bumped into something. Why We Liked It – Paying once for a helmet you can use anywhere is a good deal if you’re taking your first steps into the hobby, but the Revel can also be a good minimalist choice for experienced cyclists. Pair with a good mountain bike with a reliable set of mountain bike tires. 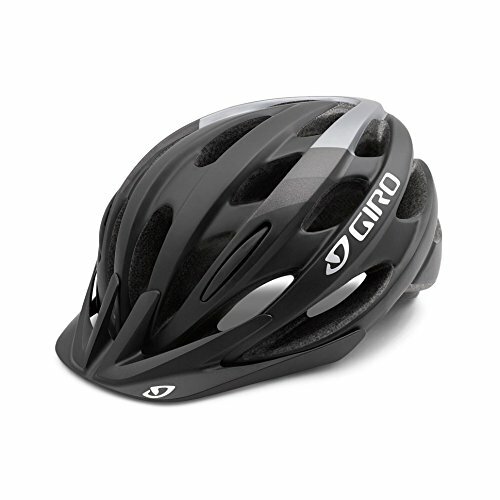 Another of Giro’s helmets, the Register is meant to be light, sleek and versatile. Its internal Multi-Directional Impact Protection System (MIPS) helps manage the flow of energy after a crash or impact, directing it away from your head and giving you more protection without adding more weight to your cycling gear. An extra layer of EPS impact foam will also soften the blow to the sides of your head if you hit something at an awkward angle. 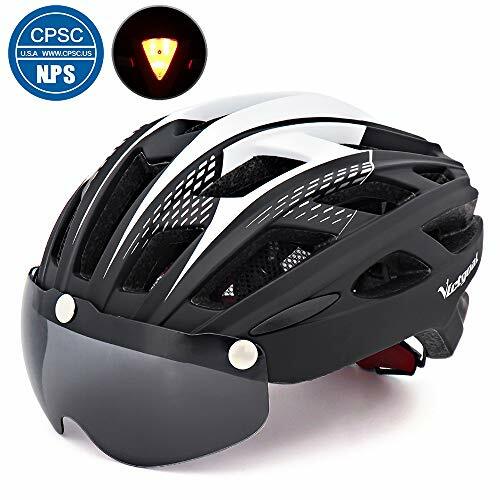 The removable visor can shield your eyes from dust and rain in almost any situation, making it much easier to cycle through harsh weather and terrain without crashing – if you spend a lot of time on dirt roads and country bike paths, the Register might be able to keep you shielded from the elements while you’re cycling. However, the Register is still heavier than some of Giro’s other designs. Why We Liked It – The safety features alone are worth the investment, especially for first-time cyclists, but the two extra layers of protection make it stand out from other helmets of a similar style. This VICTGOAL helmet is designed to prevent injuries by as much as possible, regardless of where and when you’re cycling. The removable goggles can be magnetically attached to the front rim, blocking out strong UV lights, wind and sand without getting in your way. The safety bike light attached to the back, which is also removable and completely optional, will make you visible to drivers and other cyclists after the sun goes down. The internal padding and tough outer shell are meant to block and absorb the force from crashes, turning concussions into far-less-dangerous bumps and bruises. To make sure it fits properly, the helmet’s circumference can be adjusted a whole two inches with an adjusting knob on the back, and the design uses a whole twenty-eight vents that keep you cool while cutting down your air resistance. Why We Liked It – This helmet works exceptionally well in the summer thanks to its heavy ventilation and UV visor, not to mention the way it protects the back of your head. This helmet uses an aerodynamic shape and lightweight materials to make cycling less taxing on your body, but can still provide just as much protection as a heavier helmet. The twenty-eight vent holes are large enough to let the air flow through the helmet without exposing your head, with the DewCollector padding getting rid of sweat, rain and humid condensation much faster than a regular helmet’s inner lining. The Silas also comes with a three-setting LED designed to shine as bright as possible in the darkness, letting you stay visible while you’re on the road. The helmet can be adjusted to fit most heads with the ErgoKnob dial, meaning that it can easily fit around a beanie cap or a thicker hairstyle without feeling uncomfortable to wear for long periods of time. Why We Liked It – Critical Cycles is ideal for people who are new to cycling or just want to try out the hobby without being overwhelmed, as well as existing cyclists who want to carry a light helmet with them. Helmets might protect you from harm, but that can’t always protect themselves, and frequent crashers might have to replace them more often than the rest of their gear. This means that the initial cost of an expensive road bike helmet could quickly multiply faster than you can afford, especially if it’s taking impacts that break important parts of its design. Accessories should also be considered: you might be paying extra for an optional feature that you’ll never use or need, or you could be in the opposite situation of not being able to budget an accessory that you desperately need. One of the biggest mistakes you could make would be to pay more based on the design or paint of the helmet – some companies will charge more for extra colors and patterns that don’t affect your performance or safety at all. Be sure to do your research and know if you’re getting the best deal for your money. A key part of making the most of cycling as a hobby or exercise routine is to make sure you enjoy it since you’ll pass much more time and find it much more engaging than if you’re uncomfortable while doing it. You won’t necessarily be able to use the same equipment for all four seasons, so you’ll need to make sure you have the right gear for the weather you’ll be dealing with: insulated clothing for winter, cool clothing for summer, and helmets that can shade you from the elements. 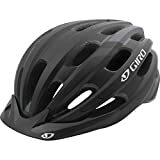 A good road bike helmet should also fit on your head properly – the looser your helmet is, the harder it’ll be to keep on your head while you’re moving at high speeds or on uneven ground. If it falls off, it could end up hurting you or even lead to you crashing. Adjustable helmets are best if you can find them since they’re easy to adjust on the fly and you can widen them to fit over hats or bigger hairstyles. On the other hand, it shouldn’t be too tight. If you’re not comfortable wearing it for long trips, then it might be pressing down on your head and not letting out enough sweat, making it difficult to focus on cycling properly. Helmets are built to keep you safe first and foremost, but it’s easy to forget that high prices don’t always translate to better protection. That’s not to say that you should go for the cheapest option since you’ll get an equally cheap bike product in return. It’s much better to pay more and be overprotected than pay less to be under-protected, but after a certain point you might end up overpaying for a helmet that’s identical to a cheaper helmet. Safety doesn’t just mean physical protection, though: LED lights and reflective strips can keep you safe from late-night collisions, and shaded visors can stop sunlight and dust from getting into your face on tricky routes. How tight should my helmet feel? Helmets are meant to sit tight on your head, but it’s easy to take it too far in one extreme or the other. A loose helmet won’t protect you from impacts properly and could fall off if you slip over, but a tight one may cause damage to your skin or compress your hair down in an uncomfortable way. Make sure you’re aware of your head’s basic measurements before you purchase a helmet online. It’s best to measure around the middle or lower part of your forehead since most helmets will stop just above eye level unless you’re buying one with a visor. Many will also extend much further down the back of your head, sometimes down to the top of your neck. How heavy should my helmet feel? Heaviness doesn’t directly equate to protection, and a helmet that’s too heavy may cause you more harm than usual if you crash. You could also suffer neck strain or red marks on your skin if it weighs down your head. 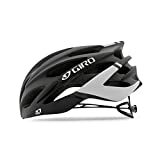 Ideally, your road bike helmet should be light enough to wear for long periods of time, but still heavy enough to add a slightly weighted feeling if you tilt your head. Not all features will come in useful to you, especially if you only cycle at certain times in the day or month, but some are still worth having as an extra safety measure. LED lights and other visibility aids won’t be that useful if you cycle during the day, but additions like moisture-wicking padding and optional second layers are much less specific and can be helpful in day-to-day life. Which color/pattern should I choose? Color can be a useful tool for quickly identifying somebody from a distance, so it shouldn’t be overlooked. Brighter colors are easier to see in the dark if you don’t have reflective strips or LED warning lights, but darker ones will glare less in bright light. So if you’re cycling in a group or as a family, choosing different colors can make it clear whose helmet is whose if they’re all adjusted to fit different head sizes. Although there are some features that most of the helmets on this list share, they each have something that lets them fill a certain niche or cater to a specific type of cyclist. Safety, comfort, and versatility are all important features to have, but nothing can be perfect at all three, and the final decision lies in which helmet fills your requirements the best. It’s up to you which features and design elements you consider your top priority, but whether you go for a jack-of-all-trades model or something more specialized, make sure you’re considering everything each one offers you. Bicycle helmets are known to actually reduce the risk of head injury by 70%!